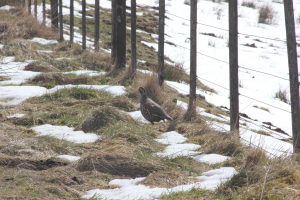 Observation - Red-legged partridge (Alectoris rufa) - UK and Ireland. Description: At roadside. Just a single bird. At roadside. Just a single bird.